Mac Outlook to Thunderbird converter supports the bulk conversion of OLM files to MBOX. The software only allows to export OLM emails to MBOX file formats. To bulk convert Mac emails user need to use Add Folder option while browsing OLM files. Mac Outlook user can filter desired emails on the basis of date range with the help of advance date filter provide OLM to Mac Mail converter. It provides the ease to selectively import OLM to Apple mail with embedded attachments. At the end of the process, OLM to Apple mail software automatically generates the report in CSV file format. The file contains the information such as selected path, destination path, mail count, fail count, size and export status. This report will help you gain insights of complete conversion process. Mac Outlook to Apple mail conversion tool support OLM files of latest Mac Outlook i.e. 2016, 2011. With the help of software you can easily convert Mac OLM files of Outlook 2016 and 2011 to MBOX file supported by various email client such as Thunderbird, Apple Mail etc. OLM to Thunderbird converter software creates separate MBOX file for each OLM file contained in the folder. The software preserves the inline images and attachments while converting OLM to MBOX. 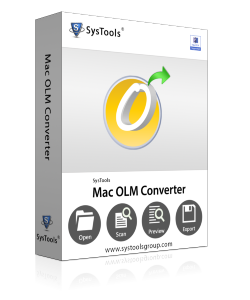 The Mac Outlook OLM to Mac Mail converter software can easily be installed on the Mac OS 10.10 and latest version without any complications. There is no need of external software while installing & converting Mac Outlook OLM files to MBOX format. Does the software supports the multiple OLM files conversion? 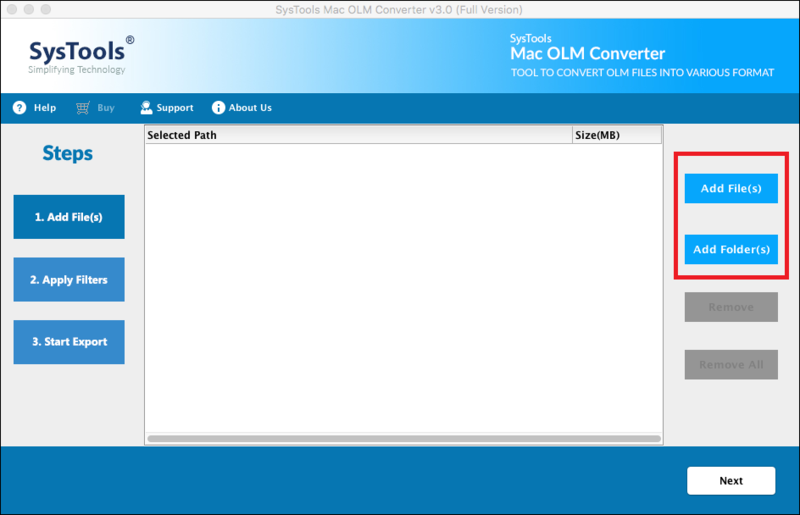 Yes, the software is capable enough to migrate multiple OLM files in MBOX format. Yes, The software is only compatible with Mac OS. Can I install Mac Outlook to MBOX converter software on my Windows 10 pc? Yes, No, you can't install the software on Windows 10 pc. Apart from this, it can be easily installs on latest Mac operating system. What is the file size limitation imposed by software? 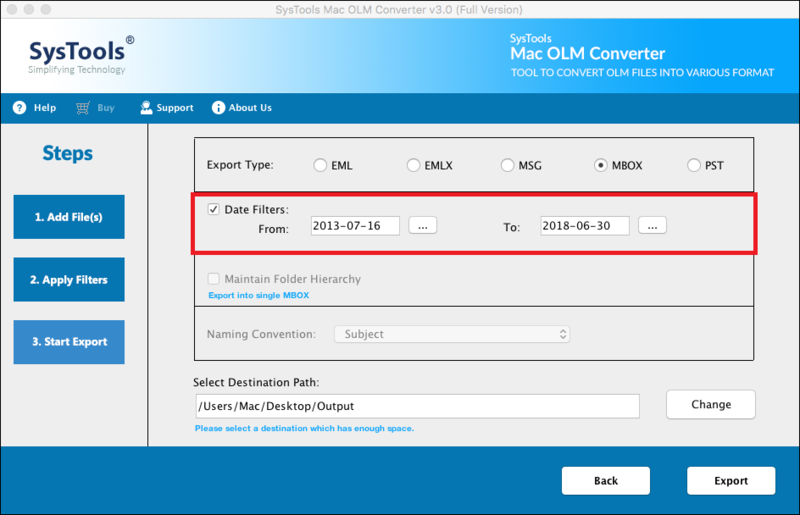 OLM to MBOX converter full version does not impose any file size limitation to export Mac Outlook 2016 to MBOX file. But there are certain limitation imposed by the demo version of the software. With the demo version of software, you can only convert 100 emails per folder to MBOX format with attachments. Is there any external application required to convert Mac Outlook 2011 to MBOX format? No, there is no external application required by the software to export Mac Outlook 2016 OLM to MBOX format. The software works as stand-alone utility to convert Mac Outlook data. How much time will be taken by the software to export 2 GB of OLM files to MBOX? The time taken to export 2 GB OLM data to MBOX file format will depends upon the state of OLM files. If the OLM file is healthy then it takes around 15 – 25 minutes. But if the file is corrupted then no action will be taken up by the software. As I want to switch from Mac Outlook to Thunderbird and I am searching for the tool to help me on the same. 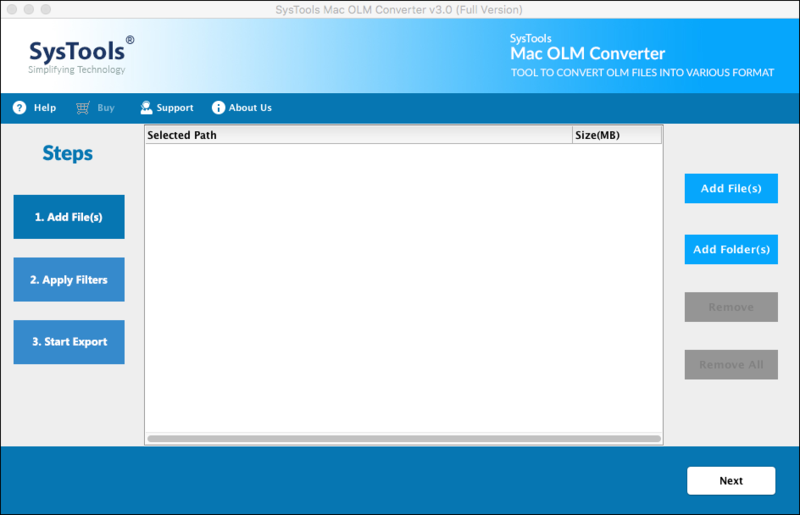 OLM to MBOX converter helps in switching from Mac Outlook OLM to Thunderbird. It has user friendly interface and easy to use. 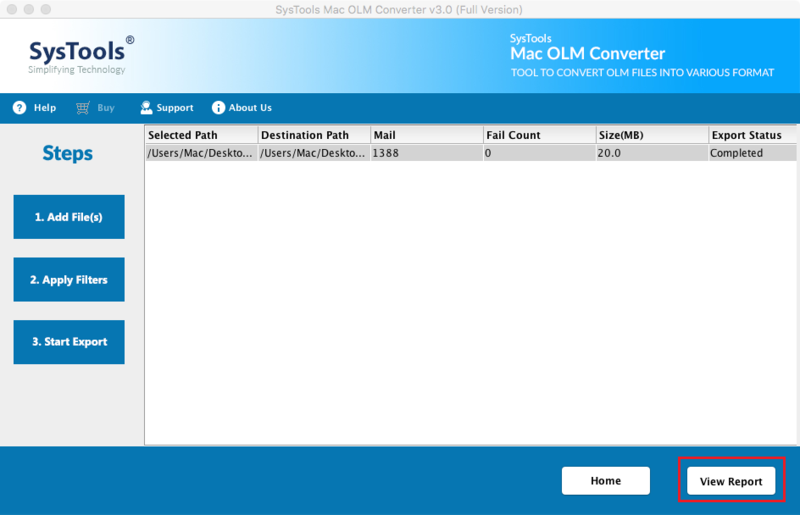 I found OLM to Apple Mail converter best for convert OLM file to MBOX. It is very easy to use and its results are very effective. After conversion it creates the same hierarchy of folders as before conversion.